There is growing concern in recent years for consumers about contamination of pesticides in fruits due to increasing use of pesticides in fruits. The objective of this study was to use surface-enhanced Raman spectroscopy (SERS) to detect and characterize pesticides extracted from fruit surfaces. Gold-coated SERS-active nanosubstrates were used for SERS measurement. Three types of pesticides (carbaryl, phosmet, and azinphos-methyl) widely used in apples and tomatoes were selected. Significantly enhanced Raman signals of pesticides were acquired by SERS from the extract of fruit samples and exhibited characteristic patterns of the analytes. Multivariate statistical methods such as partial least squares and principal component analysis were used to develop quantitative and qualitative models. SERS was able to detect all three types of pesticides extracted from fruit samples at the parts per million level. The study of detection limit demonstrated that at 99.86% confidence interval, SERS can detect carbaryl at 4.51 ppm, phosmet at 6.51 ppm, and azinphos-methyl at 6.66 ppm spiked on apples; and carbaryl at 5.35 ppm, phosmet at 2.91 ppm, and azinphos-methyl at 2.94 ppm on tomatoes. Most of these detection limits meet the maximum residue limits established by Food and Agriculture Organization of the United Nations and World Health Organization. Satisfactory recoveries (78–124%) were achieved for samples with concentrations at and larger than the detection limit. These results demonstrate that SERS coupled with novel SERS-active nanosubstrates is a rapid, sensitive, and reliable method for detection and characterization of chemical contaminants in foods. This research was supported by the Open Project Program (No. SKLF-KF-201108) of State Key Laboratory of Food Science and Technology, Jiangnan University. FAO/WHO. (1967). Carbaryl (pesticide residues in food: 1967 evaluations). Available at: http://www.inchem.org/documents/jmpr/jmpmono/v067pr03.htm. Accessed 1 October 2010. FAO/WHO. (1984). Phosmet (pesticide residues in food: 1984 evaluations). Available at: http://www.inchem.org/documents/jmpr/jmpmono/v84pr37.htm. Accessed 1 October 2010. FAO/WHO. (2009). Pesticide residues in food (MRLS/EMRLS). Available at: http://www.codexalimentarius.net/mrls/pestdes/jsp/pest_q-e.jsp. Accessed 1 October 2010. FDA. (2006). Pesticide residue monitoring program results and discussion fy 2006. 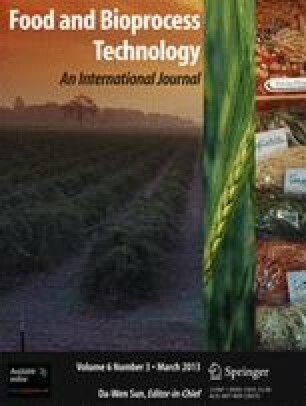 Available at: http://www.fda.gov/Food/FoodSafety/FoodContaminantsAdulteration/Pesticides/ResidueMonitoringReports/ucm125187.htm. Accessed 22 September 2010. FDA. (2007a). Pesticide monitoring program fy 2007. Available at: http://www.fda.gov/Food/FoodSafety/FoodContaminantsAdulteration/Pesticides/ResidueMonitoringReports/ucm169577.htm#summary. Accessed 22 September 2010. FDA. (2007b). Pesticide monitoring program fy 2007. Available at: http://www.fda.gov/Food/FoodSafety/FoodContaminantsAdulteration/Pesticides/ResidueMonitoringReports/default.htm. Accessed 30 April 2011.